Long before the divas of today, there was one moxie dame who was an entertainer beyond measure - Sophie Tucker, The First Lady of Show Business and The Last of the Red Hot Mamas. This groundbreaking singer, actress, and comedienne had a career that spanned six decades and paved the way for future performers like Mae West, Judy Garland, and Bette Midler. 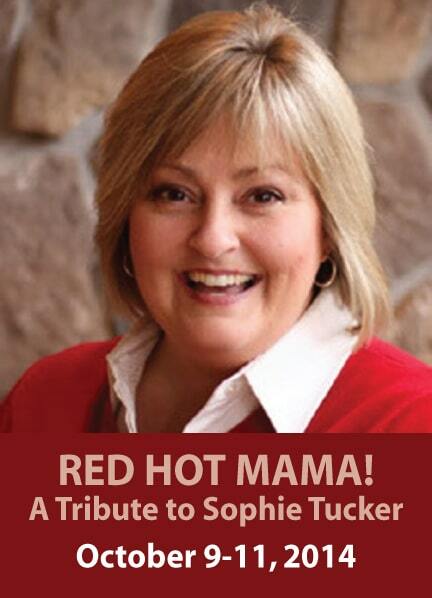 Accompanied by Jack Forbes Wilson, Cabaret singer and Sunset favorite BECKY SPICE pays tribute to Sophie with an evening of naughty stories and great songs. Please note: This show is appropriate only for adult audiences and is not suitable for children.